The solar system most of us grew up with included nine planets, with Mercury closest to the sun and Pluto at the outer edge. Then, in 2005, astronomer Mike Brown made the discovery of a lifetime: a tenth planet, Eris, slightly bigger than Pluto. But instead of adding one more planet to our solar system, Brown's find ignited a firestorm of controversy that culminated in the demotion of Pluto from real planet to the newly coined category of "dwarf" planet. Suddenly Brown was receiving hate mail from schoolchildren and being bombarded by TV reporters--all because of the discovery he had spent years searching for and a lifetime dreaming about. 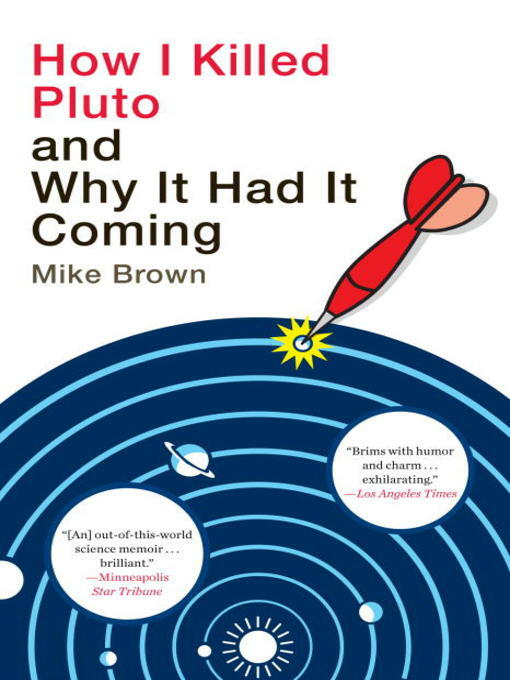 A heartfelt and personal journey filled with both humor and drama, How I Killed Pluto and Why It Had It Coming is the book for anyone, young or old, who has ever imagined exploring the universe--and who among us hasn't?